364 days of the year, Mothers work harder than any other family member. Moms are often up at dawn. Their days begin with tracking down permission slips, packing snacks and folding clothes. Mom’s evening ends with straightening the house, finishing the dishes and double check homework. (While trying to catch her favorite episode on Netflix.) Being a Mom isn’t always easy. That’s why we say “If Mama ain’t happy, ain’t nobody happy.” Mom is the glue that holds everything together. Once a year, people in forty nations set aside a day to honor the contributions of Mom. While the date may vary from country to country, the sentiment is the same. It’s time to celebrate Mom! 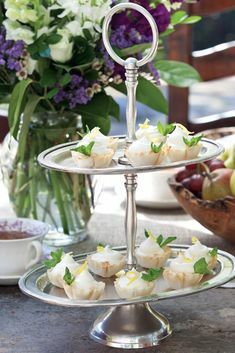 Hosting a tea party doesn’t have to be difficult. In fact, it is better to host a small gathering than an oversized affair. Most of the time, Mom just wants a break from the day to day routine. 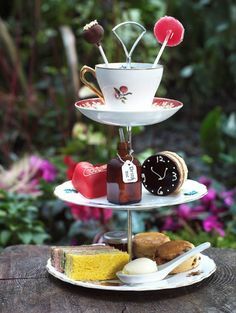 Hosting a tea party will be a special treat. Chaos may reign the rest of the year, but on Mother’s Day, most Mom’s prefer some peace and quiet. Set the tone by hosting her tea party in an area of little traffic. The space might be a nook off the kitchen or a table in the backyard. Short on space? A Mother’s Day Tea Party Picnic in a local park might provide the perfect answer. Choose carefully how many people you wish to invite to the party. While, you may love the idea of gathering all the friends and family, Mom may prefer time with her BFF or her Grandmother. If you aren’t sure how many to invite, always remember no less than 2 and no more than eight make an intimate party great! 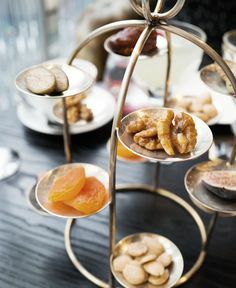 Tea Parties are about beauty, and that starts by creating an elegant atmosphere. Here are some suggestions that may help your planned teatime achieve the desired effect. Remove the clutter. Sit in the area before the party and remove any form of confusion. From stray crayons to assorted legos to piles of shoes. Anything that distracts the eye should be withdrawn from the party area. Cover surfaces. Tablecloths can cover a multitude of sin. If the furniture is shabby, cover it with solid color sheets. If the table is cracked, use a tablecloth or table runner to disguise the offending area. Find flowers – Flower petals sprinkled around covered services are a quick way to add a bit of elegance. Look for fake petals at your local Dollar Tree in the wedding section. You can also pick fresh flowers from your garden or buy flowers in bulk from Sam’s Club or Costco. Use small vases or stemware to create tiny bouquets. Place flowers throughout your party area. While tea parties can be planned on the spur of the moment, they work best if you plan ahead. Today, ideas are plentiful on sites like Pinterest and Etsy. Look for suggestions on food, decor, invitations, activities and more! Classical music streamed from your iPod can’t help but put Mom in the mood for a special treat. You can also burn (odorless) candles or tealights for just the right effect. Choose foods that are easy to eat. Here’s an easy to prepare menu to get you started. 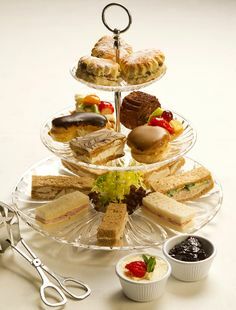 Place the scones and desserts on a mini three tiered tray for a touch of elegance. A great tea party calls for high-quality tea. At Tea Party Girl we have been sampling an assortment of Adagio’s finest loose leaf teas. 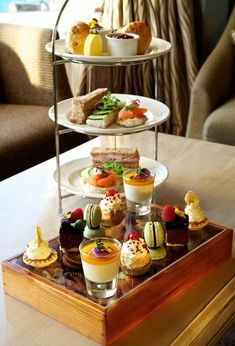 Be sure to choose two teas for your event. Black tea (such as Adagio’s Yunnan Jib) will pair with your entire menu and can be served with milk and sugar. You may also want to serve a Rooibos or Honeybush herbal tisane for those who are caffeine sensitive. Enjoy our Adagio tea reviews HERE. If you are new to brewing tea CLICK HERE for step by step instructions. 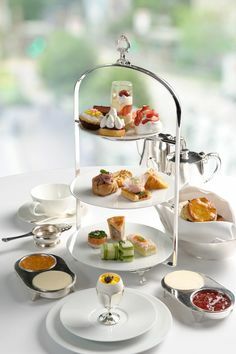 Your Mother’s Day Teatime will be a gift to remember. Don’t forget to take photos before, during and after the gathering. Upload photos to Facebook or Instagram and share with family and friends. Be sure to put the date on the photo. You’ll want to remember this special day for years to come!